Guaranteed recruitment and retention rates without compromising the quality of the data, with associated cost efficiency. Adequate communication and IT technology at most sites, many Investigators trained in USA or Europe. Bilingual Clinical Research staff trained and experienced in ICH GCP regulated research. Active Regulatory Agencies overseeing Research activity for 20 years and aligned with ICH GCP guidelines. Substantial Markets for Product Sales. The approximately 600 million people of Latin America represent a sizeable market for approved drugs. IMS Health has estimated that the region will generate 10% of global pharmaceutical sales by 2017. Non-expensive operative costs for clinical research services. Decreased travel to and from sites (densely populated cities). Multiple academic, public and private hospitals in small areas. Salaries and Professional fees for Researchers and medical procedures involved in research highly competitive compared to those of USA/Canada/Europe. Reference Sites concentrate less prevalent diseases, helping optimize costs and simplify site selection. When running multi country studies in the region, translation costs are minimized since Spanish is the prevailing language spoken in the region followed by Portuguese (Brazil). Outstanding Environment for performing quality clinical research. Quality proven regional vendors for support services: couriers, warehouses, regional and national central labs and investigator meeting locations. There are also Clinical Research Professionals Certification and at University level Post Graduate courses, such as Clinical Research Masters Degree available locally since 2007. Highly controlled regulatory environment aligned and experienced with ICH-GCP guidelines compliance (e.g. in Argentina and Brazil since 1996). The continent’s time zones are convenient for interactions with headquarter offices of North American and Europe companies (5 hours difference or less). An Enthusiastic and Qualified Investigator Community. Physicians in Latin America are trained to the highest medical standards and appreciate the opportunity to enroll their patients in studies that involve the latest treatment advances. Participation in studies also connotes a degree of professional prestige and a welcome source of additional income for the physicians and medical centers. 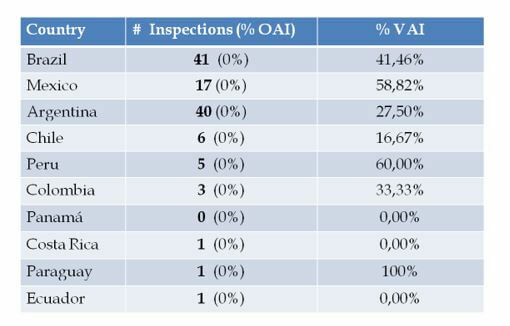 Latin American governments have been consistently promoting regulations that adhere to legal and ethical international standards, and facilities are routinely audited for compliance. Outstanding Environment for excellent recruitment performance. Large, ethnically diverse population. Latin America has wide diversity of races and ethnicities which mirrors the wider market. There are increasing access to healthcare and medications. The region is a complementary site to northern hemisphere sites for indications with seasonal variations (such as respiratory diseases). And also, it is a favorable niche for emerging and neglected diseases. Latin Americans are, generally, eager to participate in clinical trials when their physicians recommend doing so. The strong physician/patient bond that exists in the region also strengthens patients’ compliance and retention in the trial. Latin America is home to dense urban areas; in fact, the United Nations has referred to it as the most urbanized region of the world. Overall, 80% of Latin Americans live in cities, and the urbanization process is expected to continue. The United Nations estimates that by 2020, 90% of the people in the Southern Cone region will live in cities. Many of the major cities date back to the efforts of Europeans to colonize the area in the 16th century. Sao Paulo (20 million), Mexico City (19 million), Buenos Aires (13.6 million) and Rio de Janeiro (12 million) all rank in the top 25 largest metropolitan centers in the world. In terms of its capacity to accommodate clinical trials, Latin America is, potentially, at an ideal stage: it has the requisite staff, facilities, regulations and quality standards, but is not yet saturated with trials. 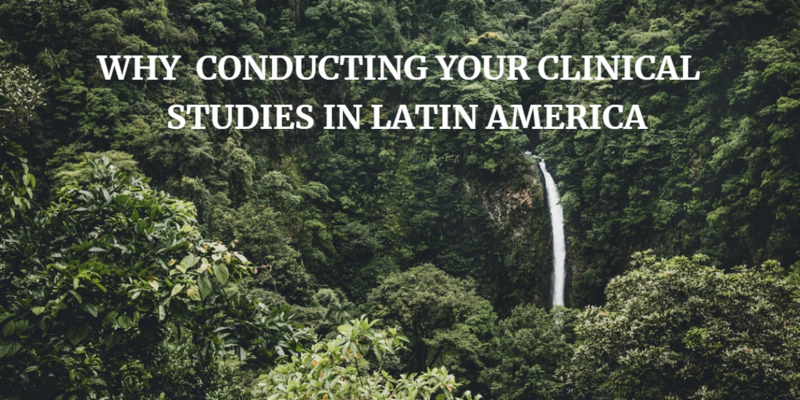 Currently there are 1,427 active industry studies in progress across ten countries in the region, and six countries (Brazil, Mexico, Argentina, Chile, Peru and Colombia) account for nearly 90% of all Latin American trials. (See Figures 9 and 10) Brazil, in fact, accounts for nearly one-third of all trials in the region, which is not surprising given the size of Brazil’s pharmaceutical market. 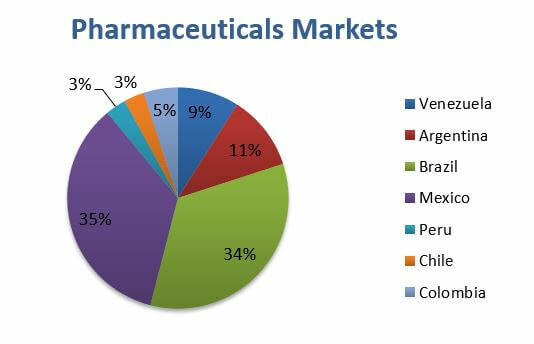 IMS Health has forecasted that Brazil will be the 4th largest pharmaceutical market in the world by 2017.